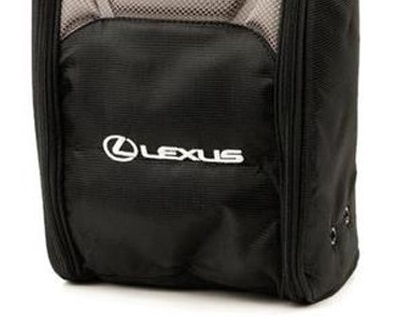 This item is a Lexus logo Shoe Bag. 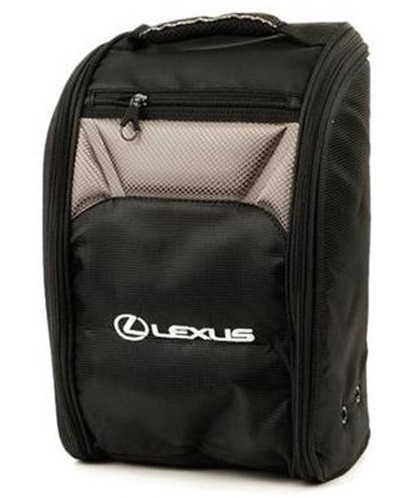 This is an ideal gift for any golfer, dog walker or anyone who likes the outdoors & muddy shoes.This is a black nylon double wall shoe bag great for keeping your vehicle clean from dirty shoes. It has an antibacterial lining & storage ventilation.